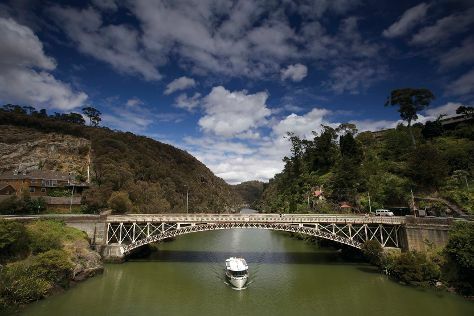 Kick off your visit on the 21st (Sun): steep yourself in history at Woolmers Estate, snap pictures at Alexandra Suspension Bridge, and then look for all kinds of wild species at Cataract Gorge Reserve. For more things to do, maps, photos, and tourist information, refer to the Launceston road trip planner . Melbourne to Launceston is an approximately 4-hour flight. You can also do a combination of flight and bus; or do a combination of ferry and car. Traveling from Melbourne in April, expect a bit cooler with lows of 7°C in Launceston. 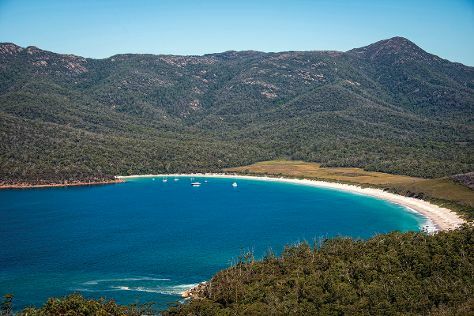 Finish up your sightseeing early on the 21st (Sun) so you can go by car to Coles Bay. Kick off your visit on the 22nd (Mon): see majestic marine mammals with a dolphin and whale watching tour, take a leisurely stroll along Coles Bay Jetty, and then walk along Wineglass Bay Lookout. For where to stay, other places to visit, traveler tips, and other tourist information, you can read our Coles Bay trip planner. You can drive from Launceston to Coles Bay in 2.5 hours. Alternatively, you can do a combination of bus and car; or take a bus. Wrap up your sightseeing on the 22nd (Mon) to allow time to drive to Port Arthur. 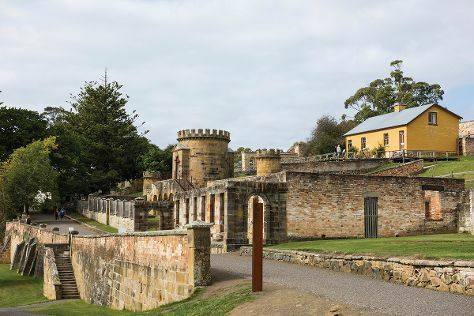 Start off your visit on the 23rd (Tue): get to know the fascinating history of Port Arthur Historic Site, identify plant and animal life at Tasmanian Devil Unzoo, and then contemplate the long history of Australian Convict Sites. To see other places to visit, more things to do, where to stay, and more tourist information, go to the Port Arthur trip itinerary app . Drive from Coles Bay to Port Arthur in 3.5 hours. Alternatively, you can take a bus. In April, daily temperatures in Port Arthur can reach 21°C, while at night they dip to 9°C. Finish your sightseeing early on the 23rd (Tue) so you can drive to Hobart. Kick off your visit on the 24th (Wed): identify plant and animal life at Bonorong Wildlife Sanctuary, examine the collection at Museum of Old and New Art, and then admire the natural beauty at Royal Tasmanian Botanical Gardens. Here are some ideas for day two: engage your brain at Tasmanian Museum and Art Gallery, appreciate the extensive heritage of Battery Point Sculpture Trail, steep yourself in history at Cascades Female Factory Historic Site, then take your sightseeing to a higher altitude at Mount Wellington, and finally take in the waterfront at Constitution Dock. 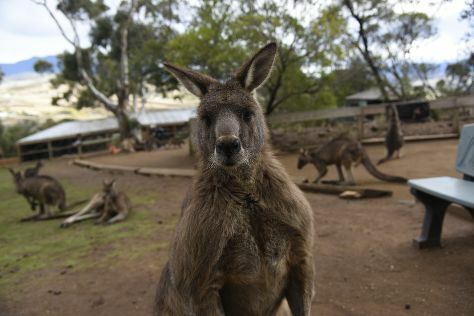 Start your trip to Hobart by creating a personalized itinerary on Inspirock. Traveling by car from Port Arthur to Hobart takes 1.5 hours. Alternatively, you can take a bus. In April in Hobart, expect temperatures between 21°C during the day and 9°C at night. Finish up your sightseeing early on the 25th (Thu) so you can travel back home.